Toshiba has used its presence at CES to launch a range of new products designed to offer more TV content delivered via the internet. The company will release Regza branded LCDs, LCD / DVD combos and standalone players that allow connection to Intel / Yahoo! 's new Widget channel, which is quickly gaining support from a number of TV manufacturers. The tech will also integrate Microsoft's Extender for Windows Media Center, as the Redmond firm tries to bash its way out of the PC and into the living room. One of the main devices to spew from Tosh will be a standalone player, which will act as a hub to deliver the content from the 'net. It can also interact with a PC via Windows Media Center and SD / USB support too. It will also have a built in DVD player with 1080p upscaling capabilities to continue the range of upconversion devices Toshiba is currently promoting. 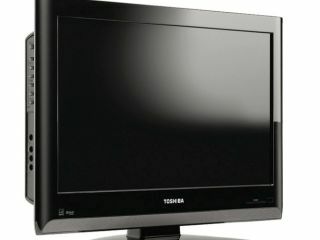 A new Regza LCD TV and LCD / DVD combos have also been announced by Toshiba, and all three categories will be launched in the second of 2009. No word on UK pricing and availability yet, but TechRadar will sniff out a hands-on as soon as possible to let you know.